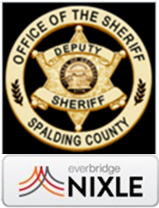 The Spalding County Fire Department and the Office of Homeland Security strive to continue its quest for excellence as a viable organization in the community. The Fire Department remains true to its mission and goals as we service our community and our citizens. Spalding County Fire Department has always played an important role in ensuring Spalding County remains a great place to live, work and play by providing safety for our citizens and visitors. The Spalding County Fire Department takes pride in our past and in the present, while enthusiastically looking forward to the future as we continue to move forward. 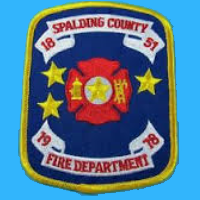 The members of the Spalding County Fire Department are committed to serve the people of Spalding County by protecting their lives, environment and property through courteous and responsible services. Our goal is to improve the quality of life by providing untiring service to training, educating, promoting fire protection and life safety through code enforcement using sound organized management skills and recognizing our people as the greatest resource and key to success. The Spalding County Fire and Administrative Complex houses the administrative offices and training center for the Spalding County Fire Department, Office of Homeland Security and Emergency Management Agency. 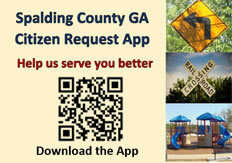 The Spalding County Fire Department provides services to 201 square miles and approximately 63,829 residents through the seven stations located within the county. Fire services are contracted to portions of unincorporated Spalding County, including the cities of Sunnyside and Orchard Hill. The Spalding County Fire Department has automatic aid agreements in place with the City of Griffin, City of Barnesville, Fayette, Butts, Lamar and Henry counties. These agreements have predetermined areas where both departments will respond automatically due to better proximity to the location even though it may be from a neighboring county. The Spalding County Fire Department has mutual aid agreements with the City of Barnesville, Butts, Lamar and Pike counties. This is enhanced through mutual aid with the Georgia mutual Aid Group (GMAG) which is comprised of departments in and around metro Atlanta. In addition, the Georgia search and Rescue (GSAR) organization can assist with specialized situations that we may encounter from rescue to hazardous material situations.